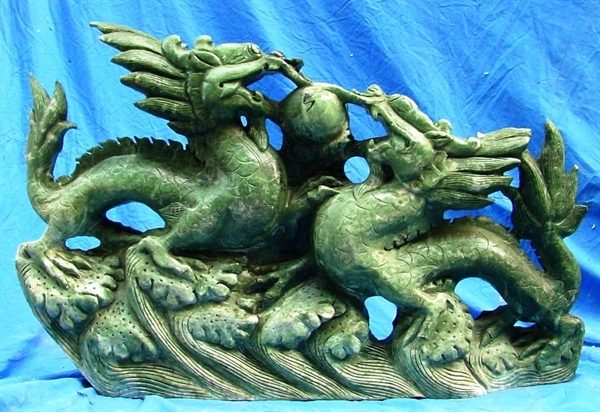 This dragon is carved from one solid piece of jade. 2 Dragons are fighting for a pearl. Very detailed and rare.